Our focus is finding solutions to meet your refrigeration and air conditioning needs. Our team’s experience spans more than 20 years in the air conditioning and refrigeration field. 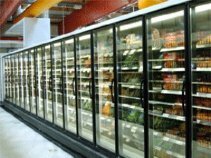 We cover all aspects, from installation to breakdown repair and preventative maintenance for all commercial refrigeration equipment and air conditioning systems. You will find us honest, friendly and punctual too. Chill Factor’s technicians are fully qualified with recognised trade qualifications and are up to date with latest technology and equipment. We service all areas of Brisbane, Ipswich, Redcliffe, Logan City, Caboolture, Gold Coast and Sunshine Coast.